CHADDS FORD — The Chadds Ford Historical Society hosts the 43rd Annual Great Pumpkin Carve on October 18-20, 2018. 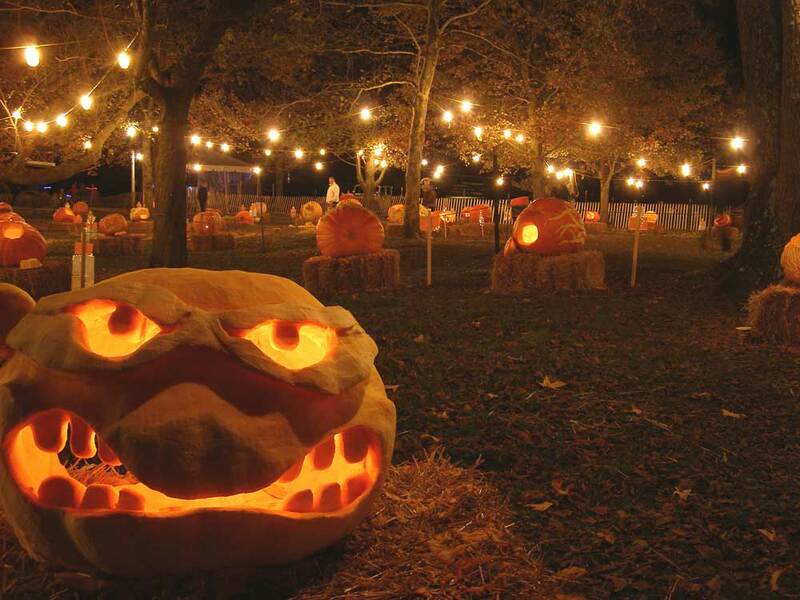 The Great Pumpkin Carve is the quintessential Brandywine Valley experience, and is a great way to get in the Halloween spirit. The Great Pumpkin Carve was started by artists Andrew Wyeth, Jamie Wyeth and Jimmy Lynch in the 1970s to decorate the Chadds Ford Inn for Halloween. The event has grown each year, and is now an autumn tradition for thousands of people. This family-friendly festival features 70 local artists competing by carving huge pumpkins into jack-o-lanterns on Thursday night. 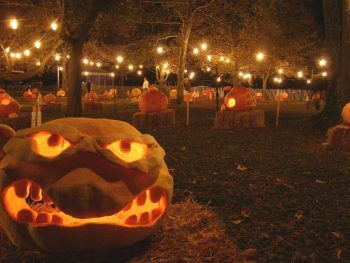 The pumpkins, which may weigh as much as 400 pounds, will be lit and displayed at the end of the carving on Thursday, and illuminated again on Friday and Saturday nights. Pumpkins are judged and winners declared in several categories: Best Overall, Most Halloween, Best Carving, Most Original and Best Use of Pumpkin. In addition to the amazing pumpkins, the Great Pumpkin Carve offers entertainment for adults and children alike including live music, raffle prizes, hayrides, pumpkin painting and other fun activities. This year we are enlarging the pumpkin patch to provide more room and easier viewing of the pumpkins, adding more admissions lines to reduce waiting time, bringing back and expanding the Haunted Trail and featuring local wine, beer and cider vendors in addition to great local food. The Great Pumpkin Carve is held on the grounds of the Chadds Ford Historical Society, 1736 N. Creek Road, Chadds Ford, PA 19317. Admission is $15 for adults; $5 for children; free for children 6 and under. CFHS members are free with membership card. All ticketing is at the gate. Free parking is available at the event. The Great Pumpkin Carve begins at 4 pm and ends at 9 pm on Thursday and Friday, September 18 and 19, with extended hours on Saturday, September 20, from 3 pm to 9 pm. Registration is required to enter both the pumpkin carving competition and the Scarecrow Display & Competition. Visit www.greatpumpkincarve.com for additional information, and apply to compete in the carving or scarecrow competitions.